Scotch and Soda shows the importance of balance. Literally. 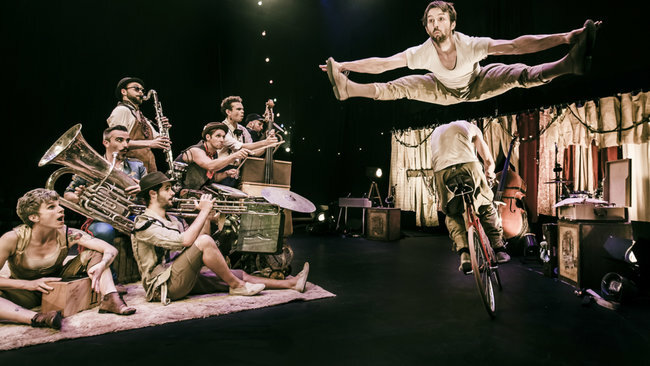 Unlike the typical acrobatics shows, Scotch and Soda adds that little bit more. 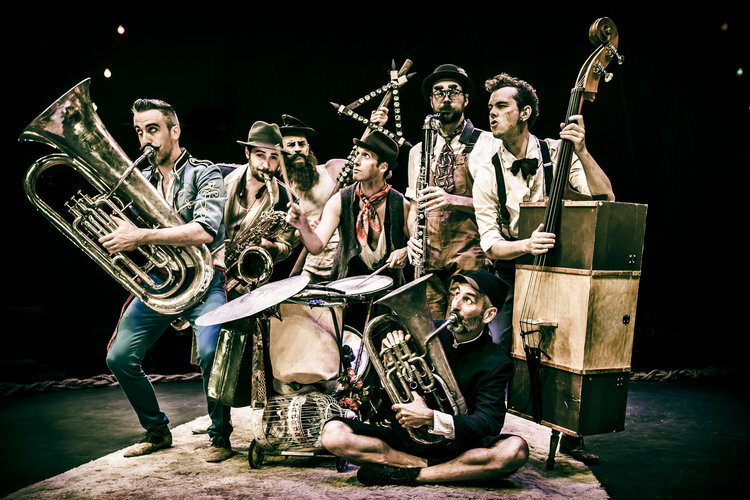 It’s a stunning, chaotic show with melded elements of circus and acrobatics, theater, and jazz. These elements, as I said, are balanced perfectly, and create a whole new experience that sets the show apart from the others. As soon as we sat down, the performers came to life on stage. Confident and greatly entertaining, the performers displayed strong teamwork in their stunts. From balancing on one another, to acrobatic flips into each others arms. The band boasted along in the background, consisting of various instruments such as guitars, clarinets, trumpets, and more. The music was the backbone to the story Scotch and Soda presented. Through the instrumentation, one got a greater sense of each character’s individual story and background (if their clothes and stage personality didn’t already give you a great insight). The only complaint I have about the show concerned the run time. While the show runs 75 minutes, I feel as though 60 would have been more than enough. Not to mention there was a particular musical solo towards the end of the show which could have contributed to the snag in pacing. Scotch and Soda continues to show every night until Sunday the 28th. Check it out if you have the time! Next articleIt’s Showtime at Gluttony!